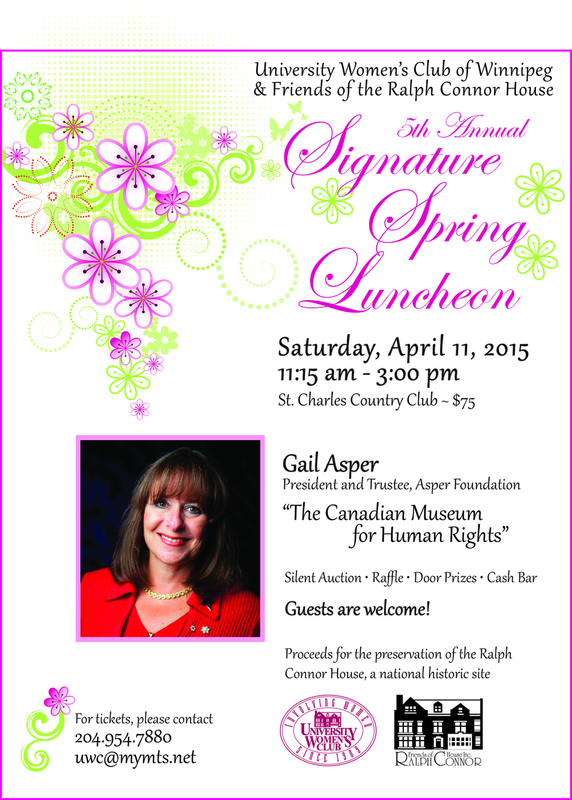 Held in association with Friends of The Ralph Connor House, and being one of our major fundraisers, the Signature Spring Luncheon is held every spring in April and features a well-known guest speaker. 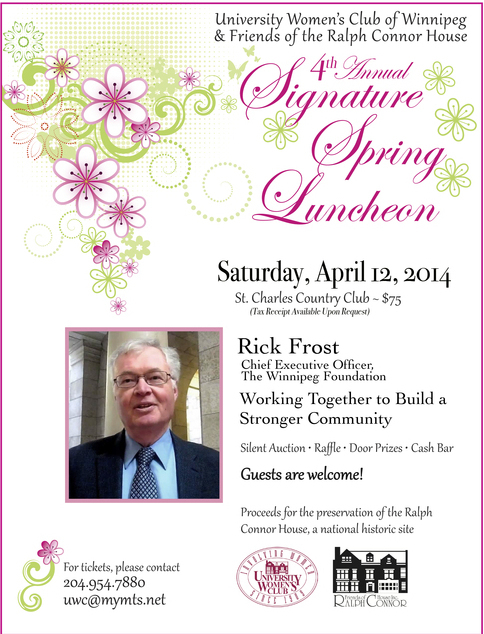 We welcome the general public to the beautiful surroundings of the St. Charles Country Club for a very worthwhile afternoon. A Raffle and Silent Auction, featuring fabulous prize packages are held to assist in the raising of funds. As we celebrate spring and friendship through the breaking of bread and valued companionship. *St. Charles Country Club is a denim and scent-free environment. Click on posters below to enlarge.